There are roughly 30 million small business websites on Facebook today. With over 1 billion members, Facebook really has become the place to be. These numbers can seem staggering for someone just entering the Facebook marketing world, but there is no reason to be intimidated by such large numbers. Most new online business owners ask themselves, and others, “What is the best way to get noticed, and grow a following on Facebook?” The answer is usually something along the lines of “be creative and effective at the same time.” Building a following on Facebook is going to take some work, some time, and a lot of growth; but it can be done if you know a few simple things about doing business on Facebook. Once your business account on Facebook has been created, it is time to get yourself your own personalized web address. Try to use your business name, or possibly a slogan to represent your business. Sometimes your first choices for a web address will not be available, so think of at least three names you could use. Promote yourself by sharing your Facebook page in any of your online profile pages, through your emails, on your business cards, and by sharing on any social networking site you visit. 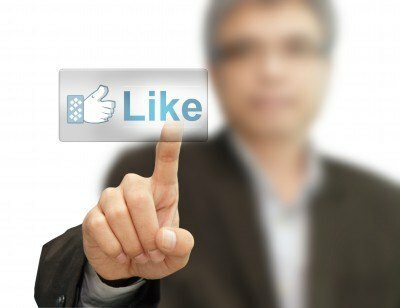 The best thing about the Like and Share buttons is the ease of use, not only for you to add, but also for your visitors. When you add these buttons to your websites, blog posts, or product description pages, you allow your visitors to share your content with their own network. This is a great way to gain a following. Knowing where your followers go (besides your pages) will help you grow even bigger. Placing people who enjoy the same things into separate groups will allow you to reach your own target audience much easier. Pull in a ton of traffic by offering your Facebook fans a special “free” item. Whether you own a car part store, or a bakery, offering a free item will entice many people to sign up to receive something free, and to see what else you can offer them. It’s a simple thing, but this is a great way to get your fans to see your business pages. It seems like most people these days have Smartphones, and use these devices to get to their Facebook pages. This ready-made market is ideal for businesses who have “an app for that”. Whether you customize it yourself, or get someone to set it up for you, having an app for your online business is one of the best ways to allow your target audience to connect to your site no matter where they are. Most Facebook users are not looking for cute pictures or a one-line update on what you ate for lunch today. They visit your page in search of knowledge about your product or services. If you are not the creative type, either hire someone who can create articles and/or artwork for you, or find articles online that relate to your business. Although you want to gain a ton of followers on Facebook, always remember that there are real people on the other side of those typed messages. Engage your audience by replying to their questions, comments, and even their criticisms. This lets them know you are as real as they are, and that you care about them as people as well as followers. With these thoughts in mind, are you doing everything you can do to make your Facebook followers list grow? Over a billion users is a lot of potential followers just waiting to happen. Make Facebook marketing a part of your marketing strategy, and watch your business and followers list grow beyond your wildest dreams.